SAN DIEGO, January 2017 – MobiSystems will kick off the new year by exhibiting at the leading global education technology event, Bett 2017. This years' show will be held at the ExCeL London between January 25-28. On display will be the top business productivity app OfficeSuite, as well as the extensive lineup of dictionary and reference applications from a wide range of renowned publishers including Oxford University Press, Collins, Webster's New World, McGraw-Hill, and more. If you're attending Bett 2017 and would like to schedule a meeting, contact bizdev@mobisystems.com, or come by and say "Hi!" at Stand G92A. First held in 1985 as the British Educational Training and Technology Show, the Bett Show (as it is known today) has grown from its humble origins to attract more than 35,000 visitors from over 113 countries annually. 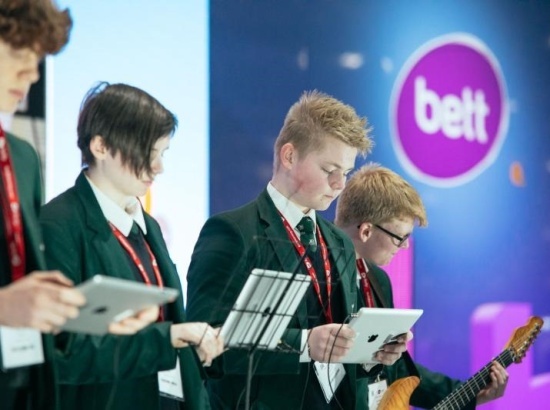 The Bett is one of the premier trade event for educational technology and innovation. This years' Bett will be keynoted by famed education advocator and speaker, Sir Ken Robinson.